After asking customers on their $120/12GB plan ($40/4GB) to switch to Koodo as a ‘bonus’ option for a failed price hike attempt, Telus-owned Public Mobile is now targeting customers on the company’s $120/6GB plan ($40/2GB). This offer doubles the data Public Mobile users were getting on their $40/2GB plan, but does require $5 more per month. The plan also includes unlimited Canada-wide calling and other roaming options available for Koodo customers. 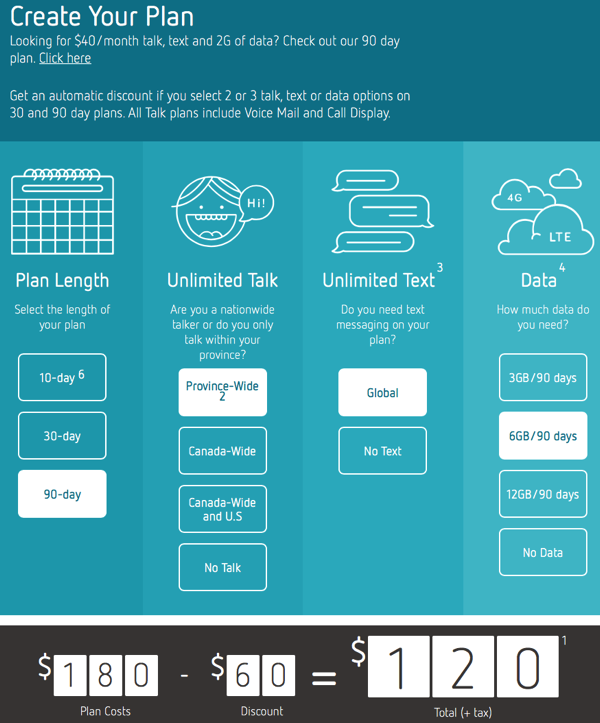 In the summer of 2016, Public Mobile increased its 4GB option to 6GB over 90 days, at no extra charge, but increased the minimum price of a 90 days plan, in what was seen as move to increase prepaid average revenue per user (ARPU), an industry metric wireless companies want to increase, constantly. Recently, Public Mobile sweetened their switcher offer to $120/12GB over 90 day plan customers, offering a $40/5GB plan with Koodo, plus a $100 bill credit. Did you receive this text offer from Public Mobile? Let us know what you plan to do.